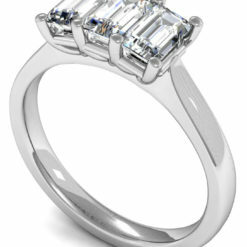 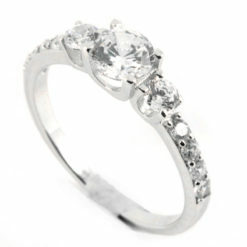 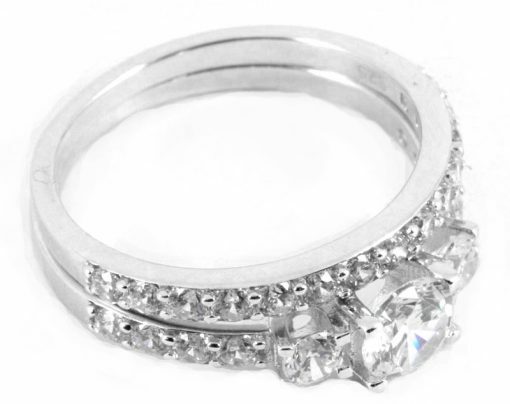 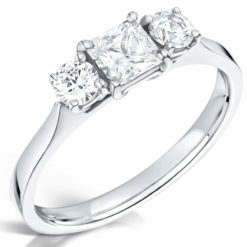 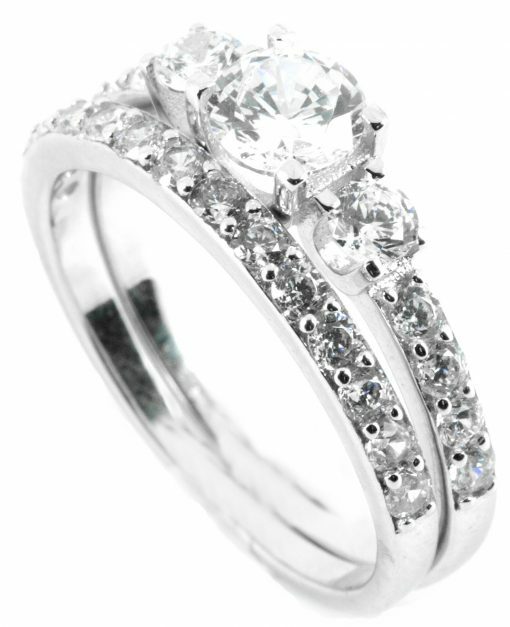 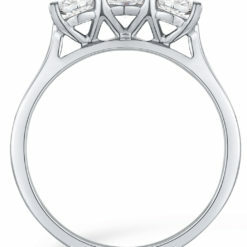 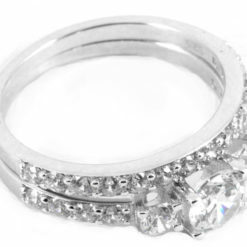 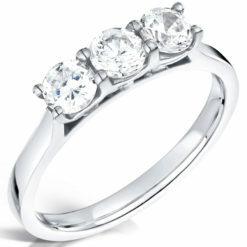 Three Stone Engagement Ring – Round Brilliant Centre with Smaller Round Sides & Diamond Shoulders. 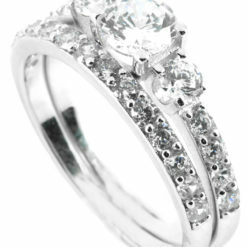 Comes with a Matching Diamond Wedding Band. The beautiful 18k white gold three-stone engagement ring is set with a 0.50ct centre diamond, the two round diamonds on either side of the centre stone are set with a 0.15 ct each. 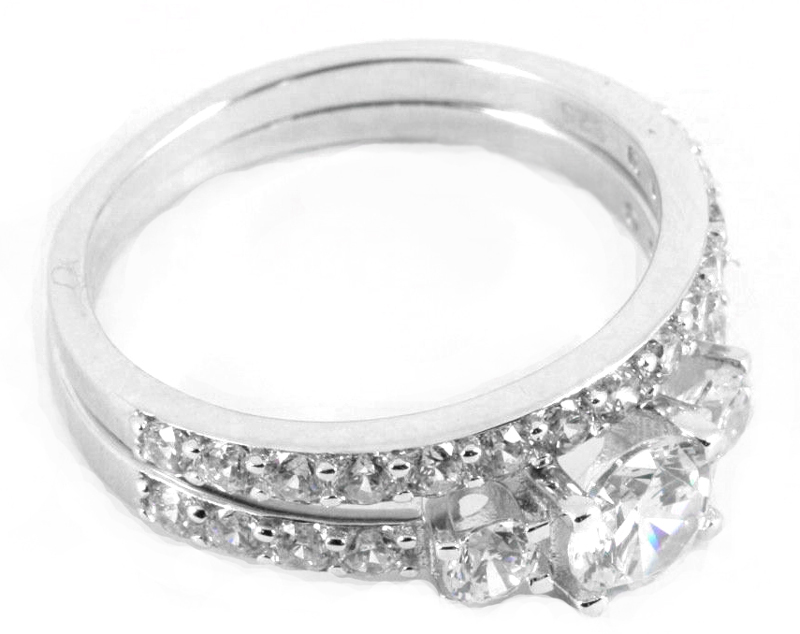 There are also 4 smaller side diamonds on each shoulder. Containing the extravagant sparkle the diamonds, this unique three-stone is a guaranteed eye-catcher. 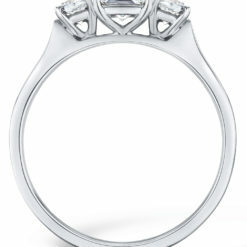 The price for this beauty is €2,000. 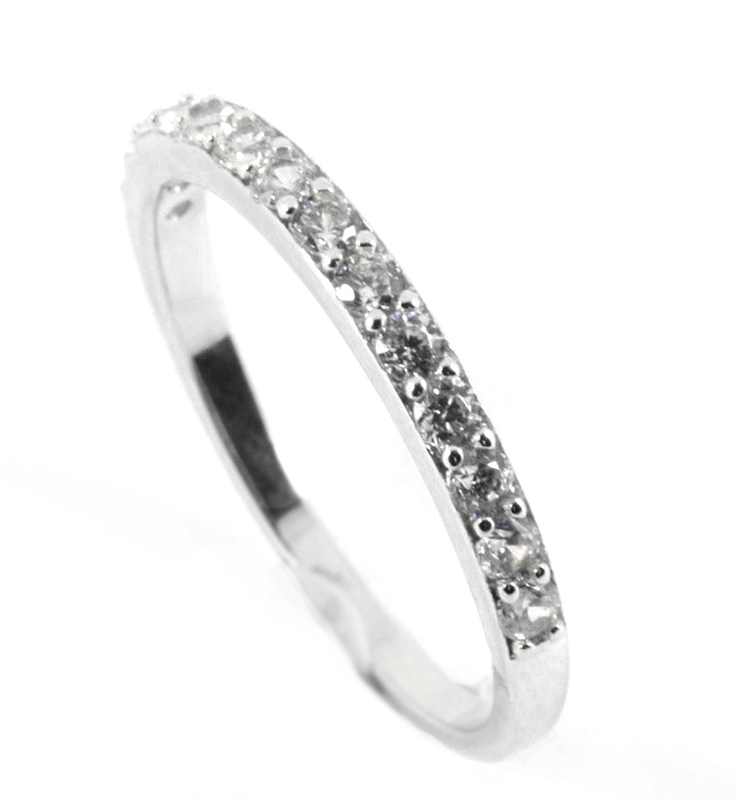 The matching half-eternity diamond wedding ring contains 14 diamonds and compliments the three-stone ring perfectly. This gorgeous half-eternity wedding band retails at €700. This halo ring is also available in yellow gold or platinum.